The Proteas’ potential downfall in World Cup 2019 could be the failure of their batters to work through the gears, writes SIMON LEWIS. 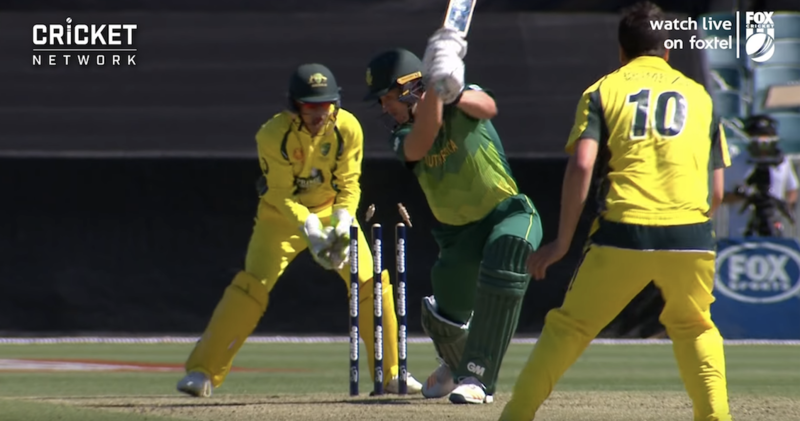 The recent defeat against the Australian Prime Minister’s XI shone a light on a serious problem in the Proteas batting line-up: they struggle to work through the gears in an innings. You wouldn’t expect to be able to fly straight from first gear to fifth gear in your car, yet this appears to be the mindset of the Proteas batters. 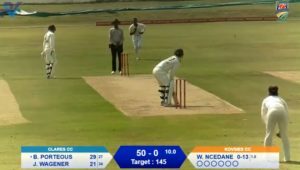 Quinton de Kock went out first ball slashing at a wide delivery, and Reeza Hendricks pushed at a wide ball and was also out for a duck in the first over. With a slightly different mindset, both balls could have been left alone and the Proteas wouldn’t have been two wickets down in the first over. This is not the first time this has happened. Perhaps it’s time to take a ‘leave’ out of Virat Kohli’s book: the world’s number one ODI batsman is usually content to shoulder arms for a couple of balls at the start of every innings, and it doesn’t affect his ability to score big or fast. Trying to dominate any bowler from ball one of your innings is high-risk cricket but, when you have 300 balls to play with, I don’t see where the reward is for batters. Teams are scoring big these days in ODIs, so there is huge pressure on batters to score fast in the first five to 10 overs of an innings. However, if a couple of wickets fall early, the middle order needs the capacity to gear down to ensure they can bat through the innings. With South Africa 30-2 in the seventh over against the PM XI, Faf du Plessis tried to hit over the top but succeeded only in popping a mistimed drive straight to mid-off. Would he look to play that shot in that match situation in the World Cup semi-final or final? Next up was Dwaine Pretorius, who gave his wicket away with a loose push-drive when the Proteas were on 100-5. It wasn’t a crazy shot, but it looked like he was overly eager to push things along and, as a result, he missed a great opportunity to put runs on the board. Did he just play a loose stroke through a momentary lapse of concentration … or was he following the team tactic to keep pushing the score along quickly? Looking from the outside, it seems as if the Proteas go out with a set total in mind for each innings and, regardless of the changing match situation, the batters remain intent on hitting that total. Like Sandra Bullock driving the bus in Speed: don’t slow down! David Miller, like De Kock, could be the man to win the World Cup for the Proteas with the bat, so I would have liked to see him gear down and bat through the remaining 24 overs against the PM XI. Kohli would have done that and ended on 150 … not out. South Africa were struggling on 119-6, with Miller (the last recognised batter) well set on 45 with 24 overs left to bat out. Then he holed out to long on. Miller left Steyn and Rabada to do the dirty work and, worse, he left overs on the board. How would he have played if that was the World Cup final? This is not a strong Australian side – they are Australia Light, and the Proteas should beat them 3-0. If the Proteas hope to prove to the world that they are serious World Cup contenders, then a wounded Australia must be put out of its misery, and with clinical precision. Give them no wiggle room. I have only one worry about this series: beating Australia Light 3-0 by playing high-risk cricket might paper over the cracks in the Proteas’ batting tactics and give the team a false sense of security. That would be more dangerous than losing the series. The Proteas have the players, the talent and the experience to win this bloody World Cup at long last, but if they follow a high-risk strategy then they run a high risk of failure once again when the chips are down.